Sima is a serial entrepreneur in the market research space. Sima enjoys being on the forefront of trends in research and technology. Her specialty is her deep and longstanding experience is building and growing businesses. Currently, Sima is the CEO and Founder of Infinity Squared Ventures, where she focuses on accelerating new and emerging businesses in the market research space. Sima is also the founder of Paradigm Sample, where she continues to serve as Chief Evangelist Officer. Her experience allows her to understand early and mid-stage launch and go to market approaches, business planning, capital raising, marketing, and product strategies. 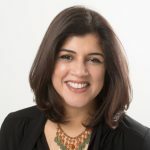 In addition, Sima serves on the multiple corporate boards which include Paradigm Sample, Chairperson of SampleCon, Port Washington Library Board of Trustees and Women in Research Executive (WiRe) Founder’s Advisory Board. Sima is also the host of her own podcast, Data Gurus. Prior to being an entrepreneur, Sima was a Senior Partner at Momentum Market Intelligence, President of NPD Techworld at The NPD Group, and Program Manager of the IBM Market Intelligence Group. Sima enjoys sharing her knowledge and being a part of the ongoing conversation that shapes the market research space. She has been a featured speaker at Insight Innovation Exchange (IIEX), IIEX Health, Marketing Research Association (MRA), The Market Research Event (TMRE), SampleCon, American Marketing Association (AMA), NewMR, and client roundtables. A former member of the Young Presidents’ Organization, Sima holds an MBA in finance from the NYU Stern School of Business and a BS in marketing from Drexel University.